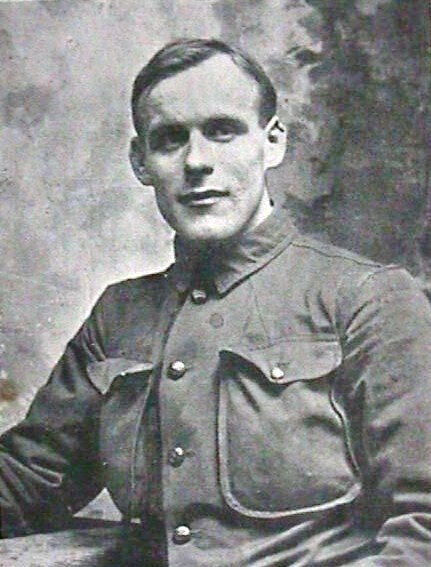 William F. Milne emigrated from from Scotland where he had been a trained scout under Robert Baden-Powell. The Spanish flu struck Vermont very heavily infecting some 25,000 and killing about 1,800. Hope Cemetary opened up their new section to accomodate many local victims. Sadly, Billy died on February 29, 1920 (Leap year Day) of meningitis, which had begun with the Spanish Influenza Pandemic of 1919. William Foster Milne was only 34 years when he died. 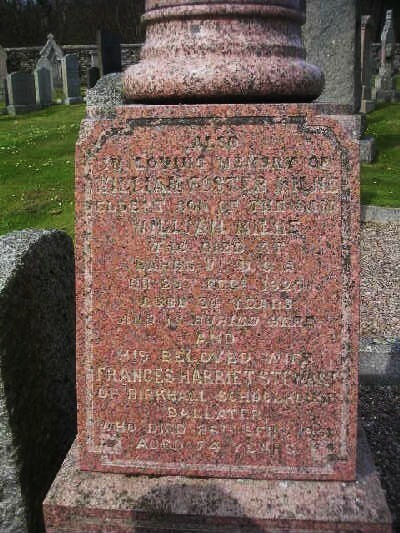 His body was returned to Scotland when his widow, Frances Harriet Milne(Stewart) returned home to her native Scotland on April 26th 1920. 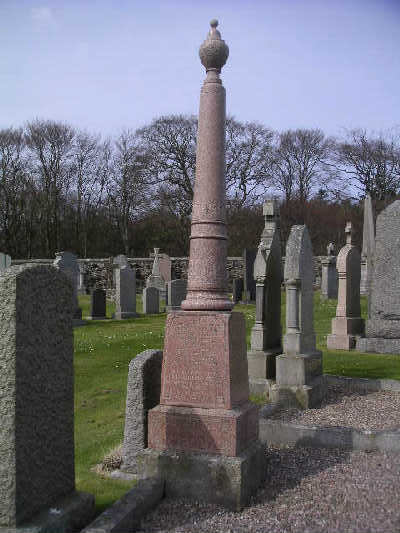 He is buried at the Banff Cemetary in Banff, Aberdeenshire, Scotland. The original charter for Troop 1 in Barre which was issued by Baden-Powell along with all Documents went to Scotland in 1920 and have never been found. We have none of his papers, except 1 letter from Sir Francis Fletcher Vane which states "It was with great pleasure that your letter was handed to me and I welcome the support and assistance of the first Scout Master in America......."
William was born in Banff, Aberdeenshire, Scotland and moved to Barre, Vermont in 1907. 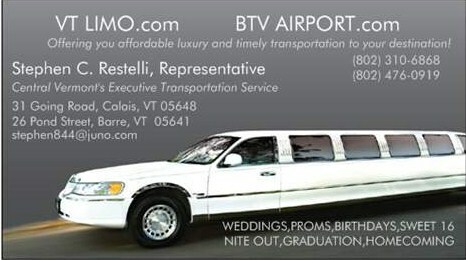 He is listed in the Barre City Directory as a stone cutter boarding at 109 S. Main St. He is listed on Ellis Island.org as returning from Lumphanan, Scotland on 8/29/09 ( a return trip with B-P Scouting materials for Barre Troop #1) at Ellis Island, New York. It is not known if his wife Frances Harriet Foster Milne remarried but her last known residence was listed as Ballater, Scotland. She originally arrived at Ellis Island, NY on April 7, 1913 from Aberdeen, Scotland. 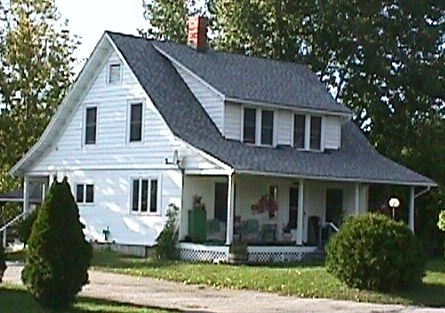 If you know anything about the Milnes in Scotland or Barre, the early pioneer Boy Scouts or the First Baptist Church----Please email me from the bottom of this page !!! *The 1st Glasgow Scout Group in Scotland holds the earliest known registration certificate, dated 26th January 1908, issued by the Scouting Association. The Group was formed from the Glasgow Battalion of the Army Cadet Corps. The Adjutant was Captain Robert E Young, and in June 1907, they formed the "Cadets Winter Recreation Training Club". 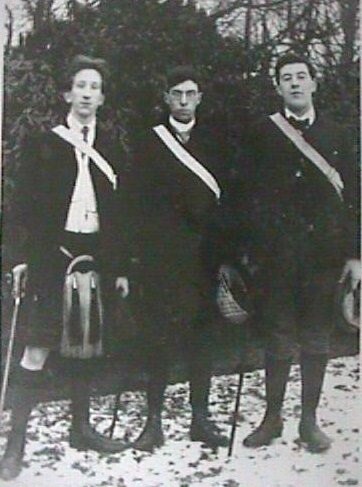 The Club was a success from the beginning, as Robert Young related: “At first we met at my house, signaled up and down the stairs, tied knots around the banisters and always finished with a good tuck-in.” Mr. Young met with Robert Baden-Powell during Autumn 1907, and he suggested that the Glasgow Club could experiment with the ideas contained in his then forthcoming book entitled "Scouting for Boys". This book was first published on January 15th, 1908. On February 8, 1910 the Boy Scouts of America (BSA) was Incorporated in the United States. "GREENLEIGH" Plaque is made of Granite - Proudly placed over the Milne home's front door. It is a tradition in Scotland to name your new home. In this case Billy Milne chose Greenleigh, since it was the name of his family home in Scotland. 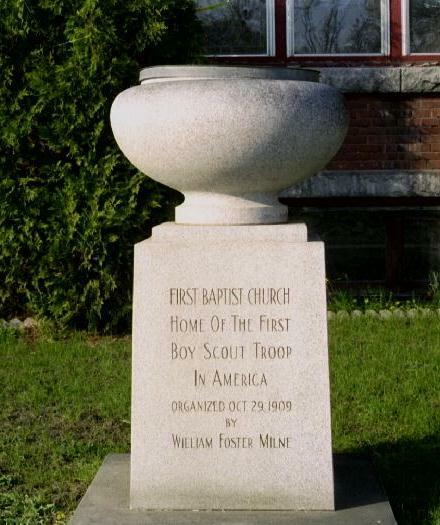 October 29, 1909 Barre Vermont has a fully organized Boy Scout Troop with 16 member scouts and 2 leaders. This was about 4 months before the BSA was formed.